Two of America's leading animal welfare organizations will collaborate with The Advertising Council on an initiative to encourage Americans to adopt dogs and cats from animal shelters. Approximately 3 million healthy and treatable dogs and cats are killed in shelters each year and if only someone stepped up to save their lives, these animals could potentially make wonderful pets. The goal of the Ad Council pet adoption campaign is to encourage millions of pet lovers who are looking for a pet to make animal shelters and rescue groups their first choice, saving the life of a dog or cat in need, rather than buying from other sources. It is the first time ever that the prestigious, 66-year-old Ad Council has focused a nationwide public service campaign on an animal welfare issue. "We are ecstatic," said Richard Avanzino, president of Maddie's Fund. "This campaign has the potential to save all of our nation's healthy and treatable shelter dogs and cats and change the course of events in the cause of animal welfare." "It will make a life-saving difference in securing loving homes for untold numbers of pets and get us closer to a no-kill nation," added Wayne Pacelle, president and CEO of The Humane Society of the United States. 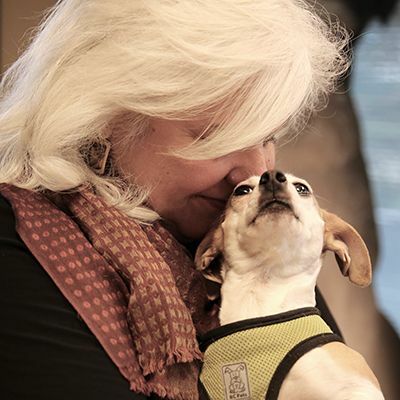 "We are thrilled to partner with these prestigious organizations on this critical initiative to help save shelter pets by giving them homes," said Peggy Conlon, President and CEO, The Advertising Council. The Ad Council has been the leading producer of public service advertising since 1942. Previous work has included some of the nation's best known and highly regarded campaigns, with such memorable slogans as, "A Mind is a Terrible Thing to Waste," and "Friends Don't Let Friends Drive Drunk." Maddie's Fund, headquartered in Alameda, Calif., is the largest foundation in the world focused on saving shelter dogs and cats. The Humane Society of the United States, with headquarters in Washington, D.C. and offices in 37 states, is the nation's largest and most effective animal protection organization-backed by 10.5 million Americans, or one in every 30. To read more about these groups, their heritage and accomplishments: www.humanesocity.org and www.maddiesfund.org. As the new adoption initiative takes shape, a separate website directing the public to local shelters will be created. To read more about the Ad Council and its successes on behalf of worthy causes: www.adcouncil.org. There are approximately 75 million dogs and 88 million cats in American households. Most people procure their pets from breeders, friends, neighbors, pet stores, the Internet, or other sources. Only perhaps 20 percent of Americans adopt pets from shelters or rescue groups. By increasing the percentage of people who obtain their pets through adoption-by just a few percentage points-we can solve the problem of euthanasia of healthy and treatable dogs and cats. The needless loss of life in animal shelters is deplored by the American public. People deeply love their dogs and cats and feel that killing pets who are homeless through no fault of their own is a problem we must work harder to prevent. They want animals to have a second chance at life, not death by injection. In a 2004 American Animal Hospital Association survey of pet owners, 93 percent of respondents said they would be likely to risk their own life to save their pet. After Hurricane Katrina, many pet owners refused housing or a ride out of harm's way if it meant abandoning their cherished pet to an uncertain fate. adopting an animal is often a life-altering and enriching experience, with people obtaining companions that give them unconditional love, affection, and attention. Pets are an antidote to loneliness and depression for millions of Americans, especially for children, the elderly, and other vulnerable segments of society. Having a pet has even been shown to lower blood pressure and have other health benefits for people. adopting a pet from a shelter not only saves an animal's life, but is also good for our own well-being. Children who care for animals develop a sense of responsibility, and it is an important part of their social development. The needless killing of pets by animal shelters and animal control agencies comes at an enormous economic and moral cost. Public and private agencies spend approximately $2.5 billion on animal care every year, and reducing their burden by rapid adoption diminishes labor, feeding, and physical infrastructure costs. The Humane Society of the United States is the nation's largest animal protection organization - backed by 10.5 million Americans, or one of every 30. For more than a half-century, The HSUS has been fighting for the protection of all animals through advocacy, education and hands-on programs. Celebrating animals and confronting cruelty -- On the web at humanesociety.org. Maddie's Fund,® The Pet Rescue Foundation, (www.maddiesfund.org) is a family foundation funded by Workday and PeopleSoft Founder Dave Duffield and his wife, Cheryl. Maddie's Fund is helping to create a no-kill nation where all healthy and treatable shelter dogs and cats are guaranteed a loving home. Maddie's Fund is named after the family's beloved Miniature Schnauzer. The Advertising Council The Ad Council (www.adcouncil.org) is a private, non-profit organization that marshals talent from the advertising and communications industries, the facilities of the media, and the resources of the business and non-profit communities to produce, distribute and promote public service campaigns on behalf of non-profit organizations and government agencies in issue areas such as improving the quality of life for children, preventive health, education, community well-being, environmental preservation and strengthening families.